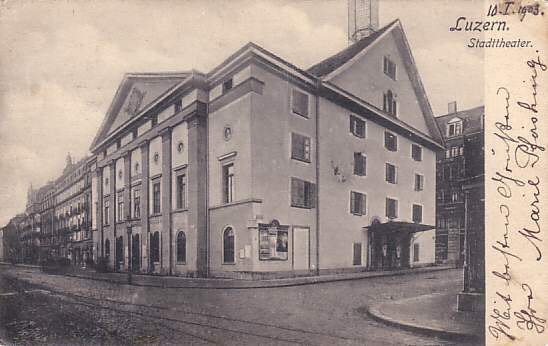 Built 1838-1839 as "Stadttheater" by Louis Pfyffer von Wyher. 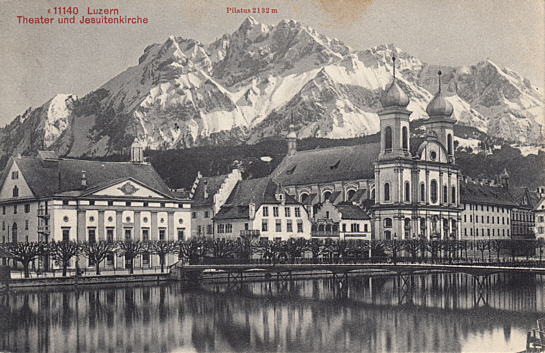 Various minor rebuildings. 1924 severely damaged by a fire. Subsequently restored to altered plans, with only the original middle tract remaining. 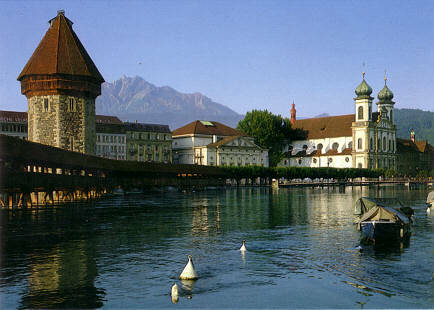 Also known as "Theater an der Reuss". Used for opera, ballet and drama performances by the resident companies. 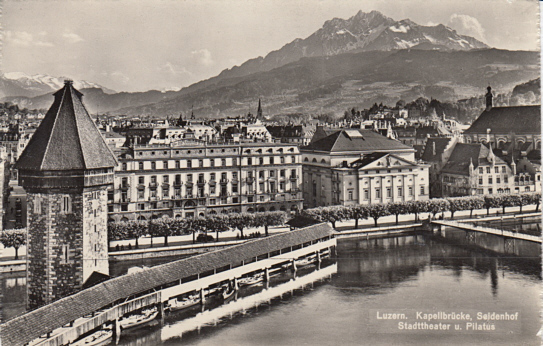 Front Text: "Luzern, Theater und Jesuitenkirche"
Front Text: "Luzern, Kapellbrücke, Seidenhof, Stadttheater und Pilatus"
Reverse Text: "Luzern - Lucerne, Kapellbrücke, Pilatus, Jesuitenkirche"